Hey there, friend! I don’t know about you but I’m tired of spending hours upon hours on student assessments and analyzing data. Let’s not forget about all the paperwork that goes along with that. 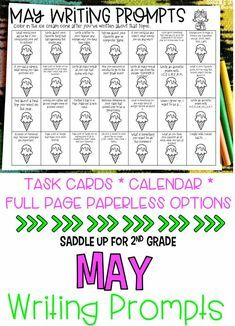 Then you have to keep up with said paperwork to take to parent conferences and RTI meetings. 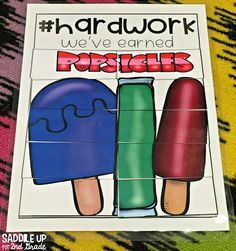 IT IS A LOT OF WORK! What if I told you there was a way to save you hours of time when it comes to student assessments? What if I told you that you can have data instantly so instead of spending a few hours after school grading and analyzing that you could take those two hours and go get a pedicure or have some extra time with family? I have the magical answer to solve all the problems above. What is it you ask? It’s ESGI! 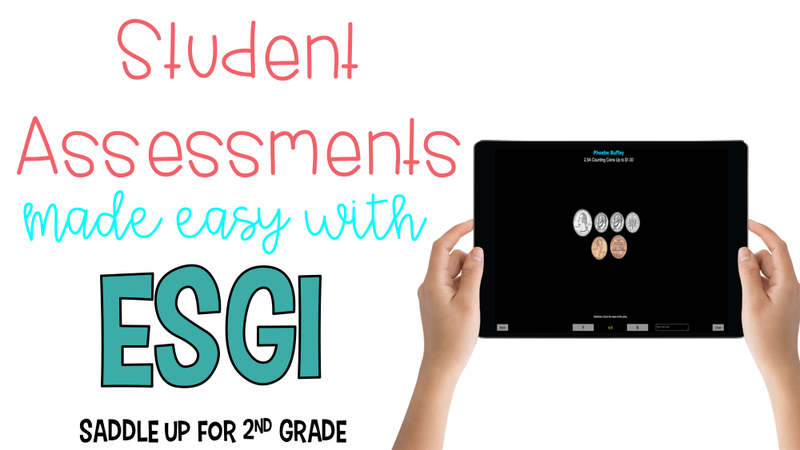 ESGI is a total game changer and has become one of my must-haves for the classroom. 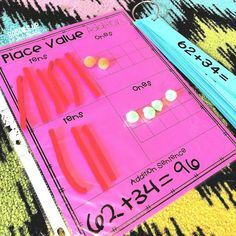 It has completely changed how we can utilize our time in the classroom when it comes to assessing students and collecting data for parent conferences and meetings. All student assessments are given one-on-one via table or computer. 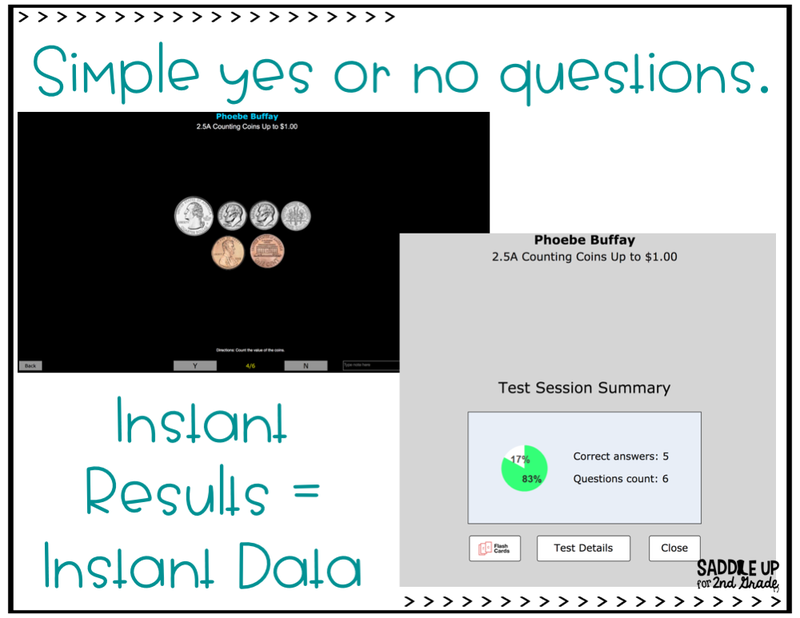 Simple yes or no answers give you instant results! Let’s take a closer look at your new best friend! Note: This is a mock example. 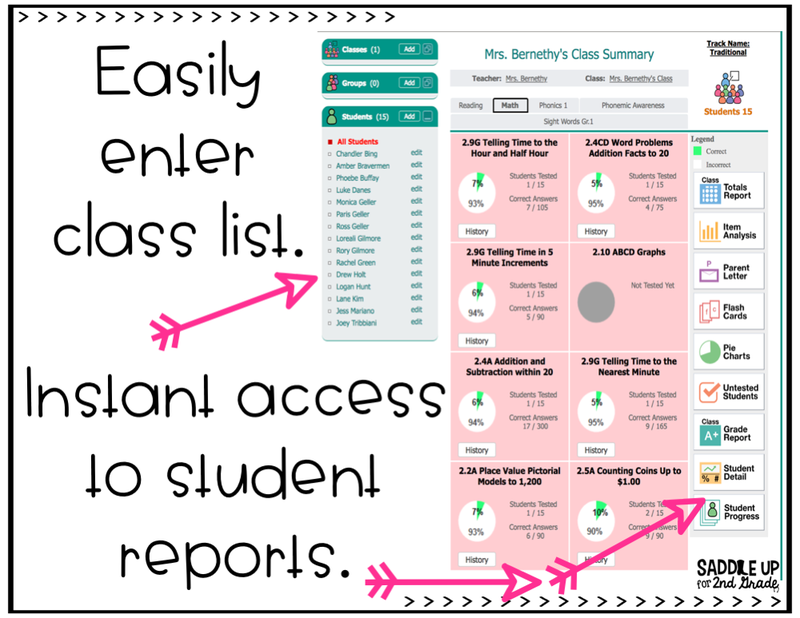 No real student data will be shown. 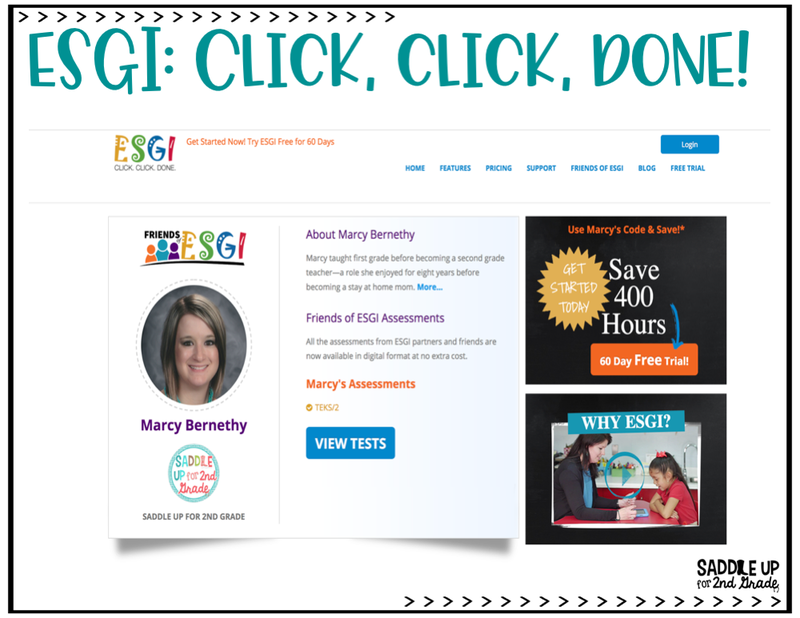 Once you have created your account, this is what your ESGI homepage will look like. You can manage your classes and students on the left and endless options can be found on the right. Student results will appear in the center. 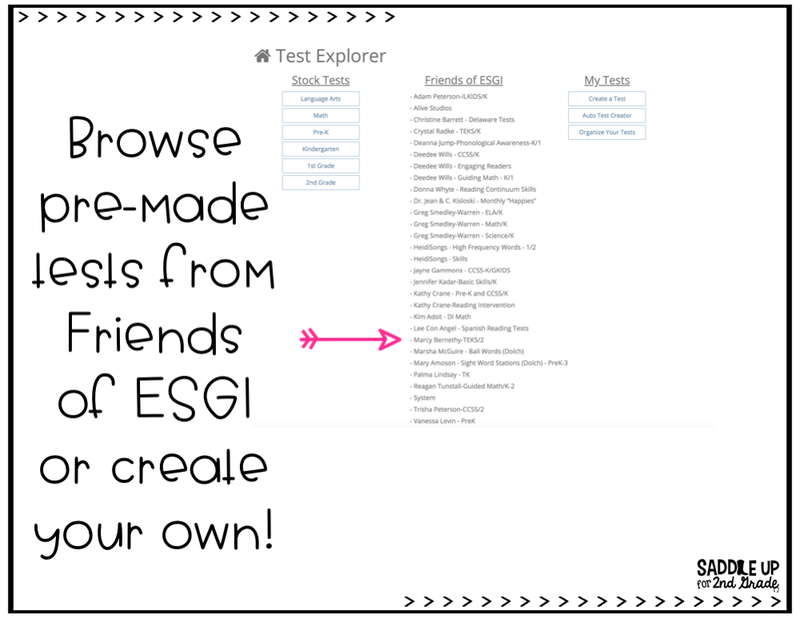 The ESGI test explorer makes it simple for you to easily find what you need. You can browse through hundreds of pre-made assessments created by the Friends of ESGI or you can create your own. When browsing through pre-made assessments, you can preview each one before adding it to your class homepage. You can easily filter by grade level, content, test author and more. I told you this tool was AH-MAZING!!! Let’s take a look at a mock test. 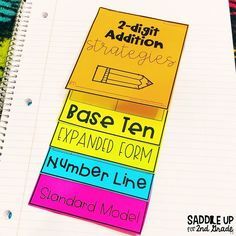 Most assessments will have 4-8 questions. Some will have more or less. Remember, we are just assessing to see if they have mastered a skill. Directions are given at the bottom of the screen. Students will answer orally and all you have to do is click yes or no. When they’ve answered all questions, ESGI instantly grades everything for you giving you instant data. From there you can access reports on the assessment that was just given. One of my favorite features that ESGI has is the printable flashcards. 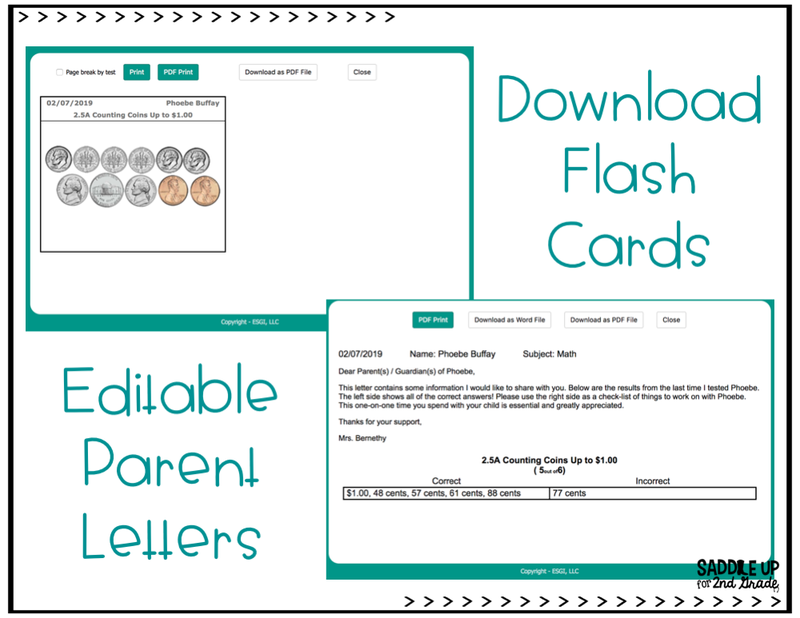 These can be printed of questions missed to send home with parents along with a friendly and editable letter explaining what their child was tested over. AHHHH!! Doesn’t that sound amazing!! 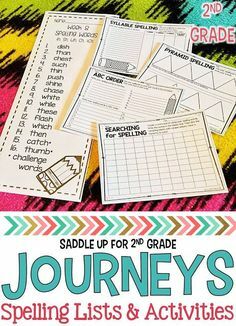 Now, I know you are wanting to know how you can try out this FABULOUS tool in your own classroom. Let’s get that FREE TRIAL set up!!! I’ve only shown you part of what ESGI can do. Click to go to the ESGI homepage. From there, click on FREE TRIAL at the top and enter in your information to get your account all set up. 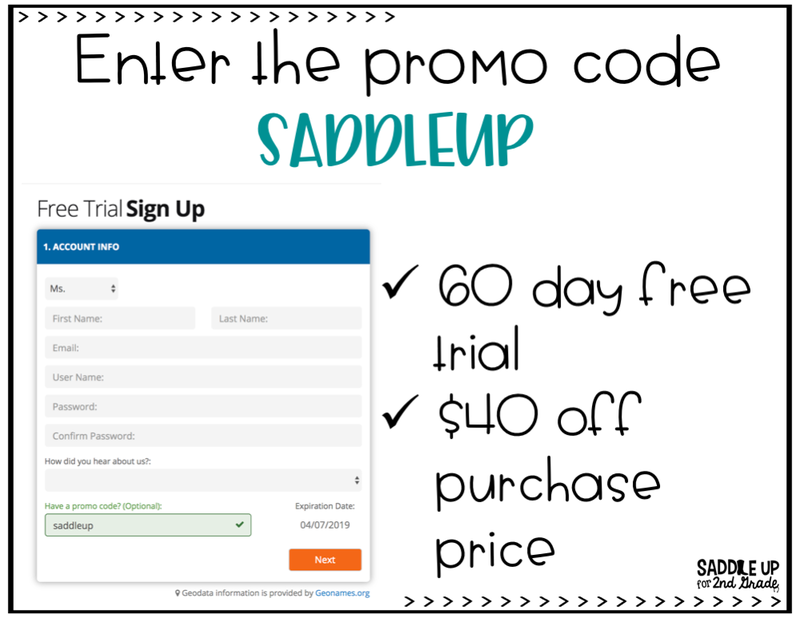 Use the code SADDLEUP to score some HUGE SAVINGS! I love ESGI so much that I have started creating assessments for them. You can find me under the Friends of ESGI page and browse everything I’ve created. 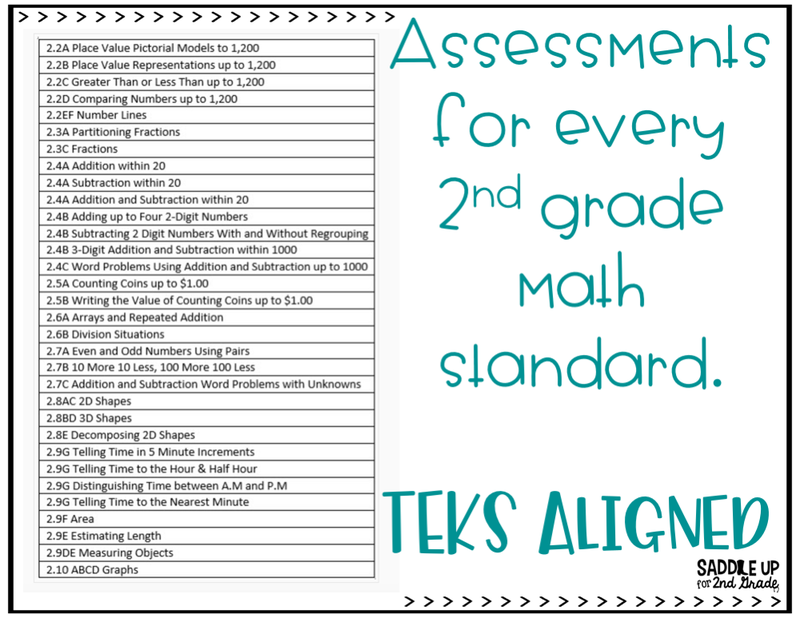 There is an assessment for EVERY 2nd grade math standard that is aligned with the TEKS. 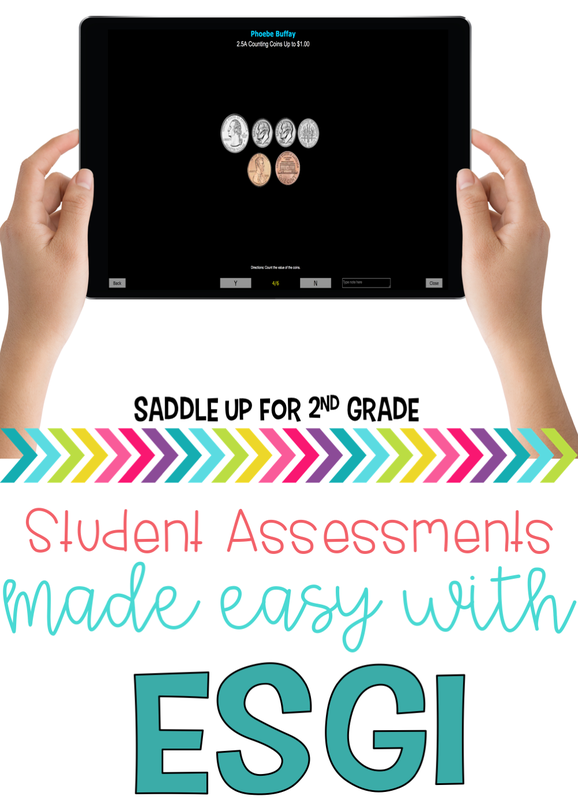 Don’t worry, even if you aren’t a Texas teacher, you can still use these assessments in your own classroom. Below you’ll find every test organized by standard. I’m telling y’all, you need ESGI in your life. 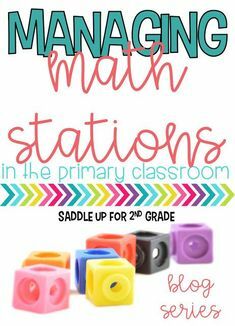 You won’t want to teach another day without this resource. Get those long hours back!